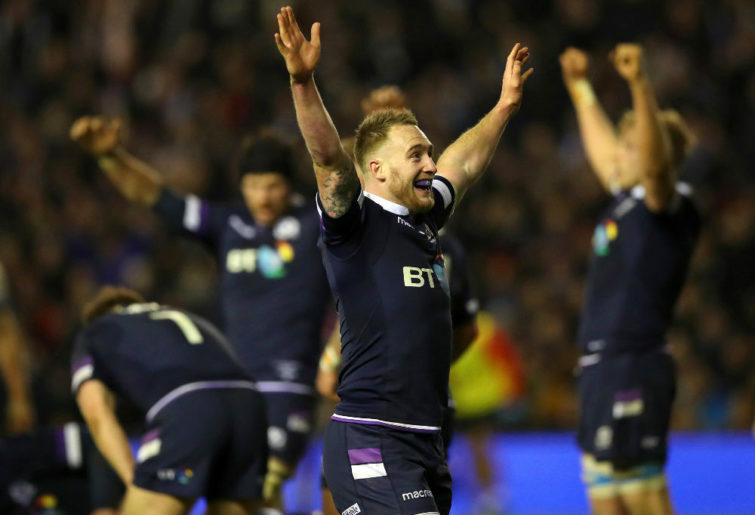 Australian Scott Johnson, Scotland’s director of rugby, sees his young charges as the spoiler in the Six Nations that kicks off at the weekend. In the last 18 months, 18 new faces have been introduced to Test level rugby, and Johnson expects that search for youth will surface this time round. And that’s Johnson’s warm-up before he takes over as Rugby Australia’s director of rugby in mid-March, rejoining the Wallabies for the first time since 2007 when he was assistant coach to John Connolly. His future will be much the same as his current job, trying to lift a nation out of the pack. The Scots have the ideal opening round against Italy, who find it hard to beat time, but it’s a shame a Murrayfield home game is wasted on the Azzurri – Scotland could crush them in the middle of the Sahara. But the second round will determine the Scots tournament fate with a clash at Murrayfield with defending Grand Slammers Ireland, especially if England upset the men in green in the opening round in Dublin. Johnson believes England, still simmering from finishing second last in 2018, will do just that as Ireland, under intense pressure, make mistakes. But they are proven great front-runners, as the two defeats of the All Blacks attest. And since Gregor Townsend took over as head coach, Scotland has been very hard to beat at home, where they grow an extra leg. If Scotland move to Paris in the third round with a 2-0 record to do battle with the French, they have control of the tournament, with Wales at Murrayfield, and England at Twickenham to go. Wales would be an even money bet, with the home advantage the clincher. And last season the Scots burst England’s bubble at Murrayfield with a 25-13 victory, but a string of injuries since have cut deep into the squad. Captain and flanker John Barclay, the other flanker Hamish Watson, locks Jonny Gray, and David Denton, and number 8 Byron McGuigan played that day, but are out for the season, as are hookers Frank Brown and George Turner, and giant 208cm lock Richie Gray. Decimation, but as Johnson puts it – “Cometh the hour, cometh the man”. The bookies have Ireland over the line at odds-on, with England 7/2, Wales 9/2, Scotland 16/1, France 20/1, with Italy at name your own odds, but officially 1000/1. 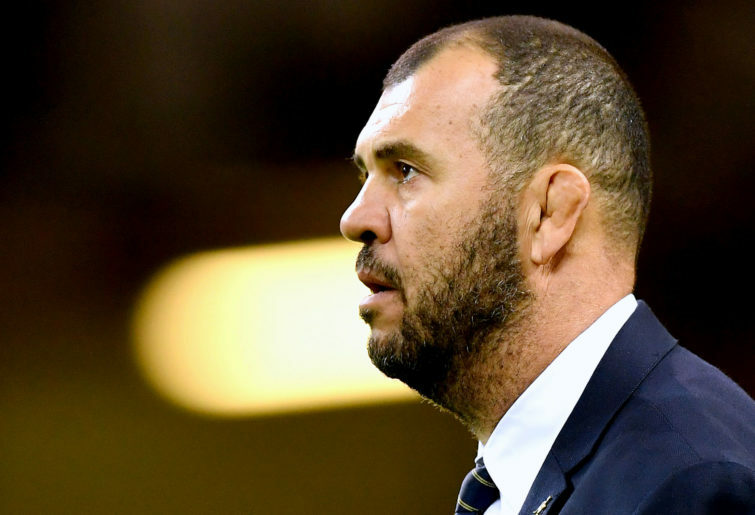 You would think Wallaby coach Michael Cheika, in the UK doing his homework for the Rugby World Cup, would catch up with Johnson, his new direct boss as director of rugby, especially for the Ireland clash. But for the moment, Cheika’s itinerary only includes this weekend for the Ireland-England blockbuster. It wouldn’t be a shrewd move to play games and ignore Johnson, who is just as strong a personality as the Wallaby coach. They must work closely together if the Wallabies are to be a force at the World Cup, the days of Cheika calling all the shots are gone. Then there’s a third selector yet to be named, and thank heavens it’s not George Gregan, who has been approached. No-one in the media should be a selector, so Fox television commitments should cut him out for starters. But for the latter part of his record 139 caps, Gregan spent most of the 80 minutes arguing with referees and failing to concentrate on getting his backline moving – a selfish attitude that did the Wallabies no favours. Besides Chris Whitaker was the better halfback who kept getting splinters in his backside sitting on the pine. That cost the Wallabies as well. So there’s a lot happening in the world of rugby with Scott Johnson the pivot, and it will only get better.